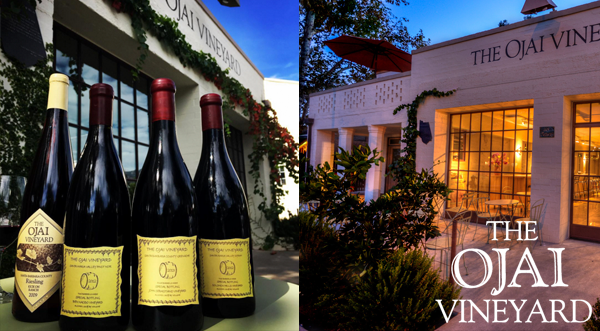 The Ojai Vineyard » Oct. 30th – Rare Wine Flight on Friday Night! Oct. 30th - Rare Wine Flight on Friday Night! The Ojai Vineyard tasting room transforms this Friday October 30th into a wine bar from 5 to 8pm. This is our opportunity to offer wines we do not include in our regular tasting flights because of the scarce quantities available. We will serve four wines in a flight, by the glass or the bottle with the usual discount for our wine club members. 2009 Riesling Kick On – A special cuvee that was aged in barrel longer than the regular bottling. Now with six years of age it is showing super well! 2011 Pinot Noir Kick On Special Bottling – A unique cool year for this early picking of Pinot Noir showing both restraint and the incredible power of the vintage. 2013 Grenache John Sebastiano Special Bottling – A later picking of Grenache, showing off the silky nature and power of the varietal while being balanced by the great natural acidity of this incredible site. 2012 Syrah Solomon Hills Special Bottling – Our coolest climate Syrah from a half acre plot surrounded by Chardonnay and Pinot Noir. A rare and exotic gem! We look forward to seeing you at The tasting room to share some rare wines with you!